Run away to the Donovan Circus! Burned, Book Two in the Donovan Circus series, is out now! Even in a world of freaks, being a Firestarter is considered a dangerous gift. Lucy was born with the ability to create and control fire. She longs to leave the human world for one filled with Earthshakers, Transporters, and Chameleons, to name a few. When she rejoins the circus, it's everything she hoped it could be - new friends, a potential love interest or two, and a place where she can be herself. When troupe members begin turning up dead, however, Lucy is suspected of foul play. She must not only prove her innocence, but also realize the full extent of her power. To find the real murderer, she must uncover the truth behind her father's fiery legacy, while figuring out whom to trust within her new circle. 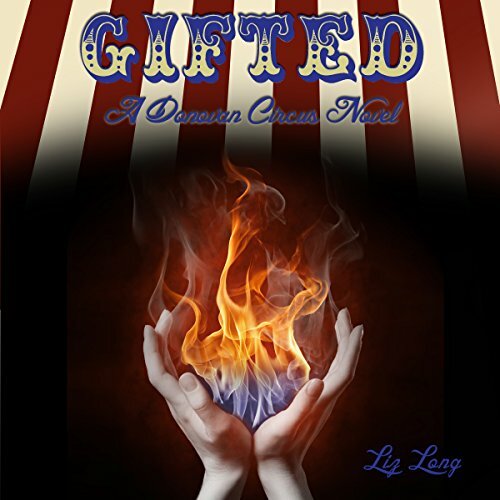 Little does she know, the history of the Donovan Circus and its enemies might actually destroy the entire gifted world.